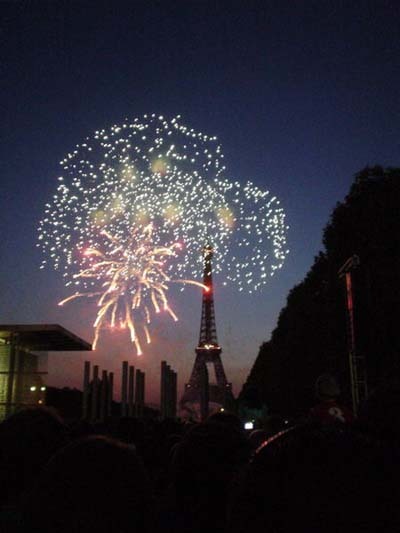 Bastille Day Traditions - Join the Celebration! Bastille day traditions are celebrated in France by everyone. There are lots of fun festivities plus ceremonies of remembrance for this important time in French history. 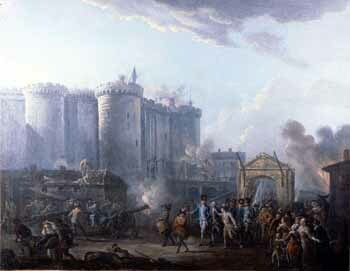 This day commemorates the important historical event of the storming of the Bastille in Paris on July 14, 1789. It was a revolt of the people suffering from the hardships of famine that plagued the country at the time and years of rule by a monarchy that lived like the kings they were, while the people literally starved. This event marked the beginning of the fall of the monarchy in France and the move towards the forming of a republic. For a good overview of this very important time in French history see our French Revolution timeline. 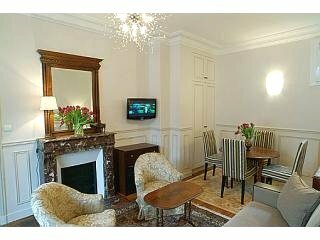 Paris is the place for the big festivities and events. The night before there is many public dances and private ones. A public costume ball held on the Place de la Bastille (12e). Each year there is a different theme. Many balls around the city hosted by city and government officials by invitation only. Firehouses open their doors to the public for dancing and demonstrations July 13 and July 14. The dancing starts around 9pm and goes as late as 4am. All the firemen wear their uniforms. Although one firehouse last year had a firemen striptease which was very popular. Check out where you can go to a Firemen's Ball. Starts at 10 am at the Arc de Triomphe and ends at the Place de la Concorde. 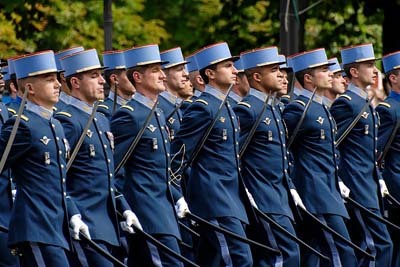 Led by the President of France while French jets (like the Blue Angles in the US) fly overhead. Bringing up the rear is the fire brigade. Oldest and largest military parade in the world. Picnic hosted by 20 departments in France One of the largest organized picnics in the world. Fireworks at the Trocadéro (16e) Lot of people gather at the Champs de Mars for viewing. Some suggest best rooftop view points: Centre Georges Pompidou, Montmartre, or Belleville. Nightclubs and bars host celebrations. 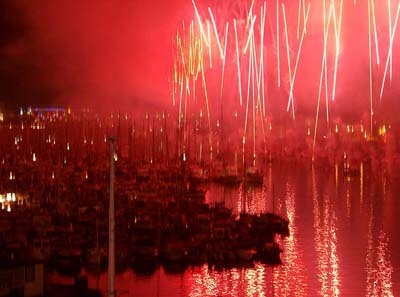 All the villages across France host their own dance, street parties, champagne and fireworks. ©Shane McGregor. Some rights reserved under the Creative Commons License. Wherever you are there is a chance to celebrate: London, New York, everywhere.